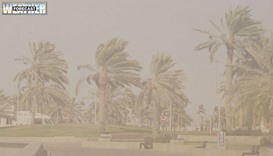 Rain is expected to intensify from Sunday evening, becoming thundery at times and accompanied by strong winds, with the unstable weather likely to prevail until next weekend, the Qatar Met department said. Strong winds and high seas are also expected in offshore areas on Sunday along with thundershowers. 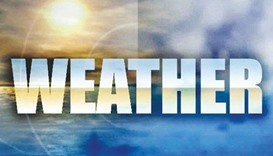 The Met department said the country was still under the influence of a state of atmospheric instability “due to an upper-level low-pressure system coinciding with an extension of the Sudan heat low-pressure system” over the region. This is expected to continue until next Saturday, February 18, it noted. 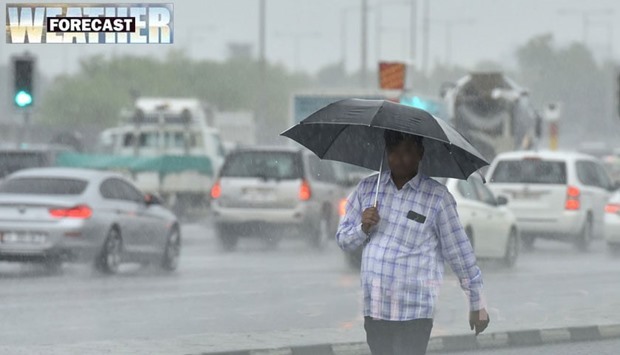 Meanwhile, it will continue to be cloudy and the conditions are expected to intensify from Sunday and become favourable for moderate to heavy rain extending gradually over most parts of the country and becoming thundery at time over some regions, the Met department has said. Winds during this period will be mostly southeasterly to northeasterly in nature, becoming strong especially on Sunday and Monday. This, in turn, will lead to blowing dust and low visibility over some areas. 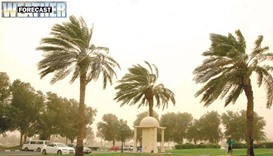 The Met department has stressed that the expected thundery rain may be accompanied by strong winds reaching a speed of 35 knots at times, resulting in blowing dust, low visibility and high waves in offshore areas. In view of the expected conditions, the weather office has advised people to be cautious and avoid going into the sea during this period. It has also urged them to follow latest weather updates and warnings through the official social media accounts of the department. Light, scattered rain was reported from different areas, including Doha, on Saturday. Besides thundershowers and strong winds, Sunday’s detailed forecast for inshore areas also says poor visibility – 2km or lower - is expected in some places in the early hours of the day due to misty to foggy conditions. The wind speed will be 8-18 knots, reaching a high of 26 knots in some places at times during the thundery rain. Hazy and cloudy conditions are, meanwhile, likely in offshore areas along with scattered rain, which may become thundery at times. Strong winds have also been forecast, blowing at 8-18 knots before increasing to 18-28 knots by the afternoon and reaching a high of 35 knots during thundershowers. The sea level may rise to 14ft during the thundery rain. 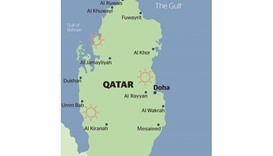 The minimum temperature is expected to be 15C in Abu Samra, Al Khor and Dukhan on Sunday, while in Doha it will be 18C. The maximum, on the other hand, will hover around the 22-23C levels in the country. On Saturday, a minimum temperature of 13C was recorded in Ghuwairiya, followed by 14C in Al Khor, Dukhan and Shehaimiya. In and around the capital, the minimum temperature was 16C in the Qatar University area, 17C in the Hamad International Airport area and 18C in the Doha airport area. Meanwhile, the Ministry of Municipality and Environment issued - on Twitter - a list of emergency numbers of all municipalities in Qatar, which people could call to get rainwater removed from their areas. "Don't hesitate to call the MME in case you need help," the ministry tweeted.